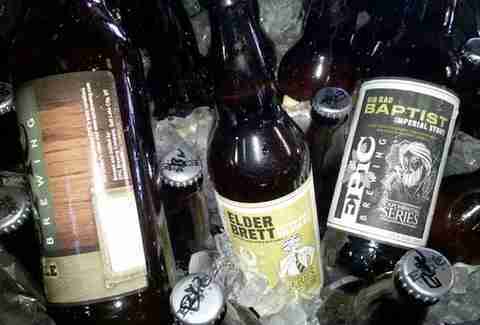 Because our only goal in life is to make yours better and beat Kid Icarus, we asked five LA suds experts to pick out the best beers for when the weather gets so cold that you may need to put an extremely light sweater over your tank top. Check 'em out. Christina says: "Pumpkin ales are hugely popular as fall seasonals, but I have a dirty little secret. I pretty much hate them. It's the only style that I really have a problem with. However, I do absolutely love The Bruery’s innovative take on the style. 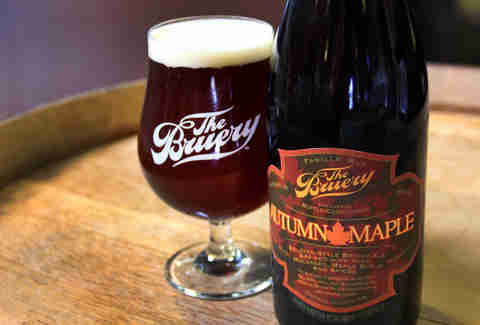 Instead of using pumpkin, The Bruery brews their Autumn Maple ale with 17lbs of yams per barrel. They also add cinnamon, nutmeg, allspice, vanilla, molasses, and maple syrup to this Belgian style, which delivers an amazingly balanced spice bomb. This beer is perfect paired with a crackling fire and a blanket on a cold fall evening. Oh, and drink this beer with cheesecake." 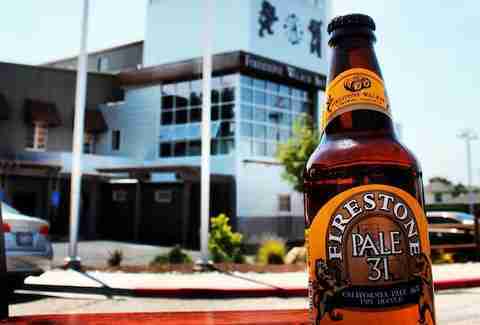 Christina says: "Fall harvest means something different to me as a beer lover. It’s not the grapes and crush for wine; for me, it means the hop harvest and beers made with the freshest hops possible. In addition to The Beer Chicks, I’m also an educator for Goose Island Beer Co., and I’ve been so into Goose Island Harvest Ale this fall. This American ESB is a combination of the toasty roast factor from rich Midwestern malts that you want in the fall and the fruity hop aroma. 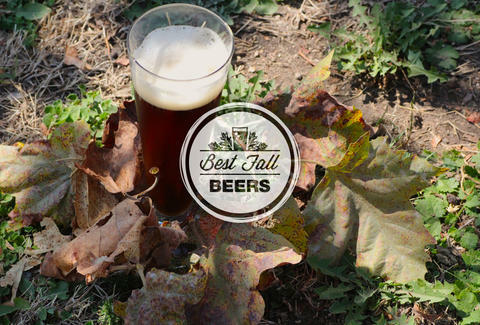 It’s a perfect beer to accompany changing leaf colors and Turkey dinners." Brian says: "For me this beer is balanced perfectly. In the Summer/Fall, I want a beer that isn't too heavy, that has a lower alcohol level (4.8%), and a perfect balance between the malt characters and the hops I crave! I find a nice aroma of citrus and florals, and a hint of grassiness. This beer is my 'Lawn Mower Beer'. Nothing like a sitting on a tractor mowing the lawn, cold 31 in hand and a nice cigar to top it off. This beer pairs great with food as well. You can go from the mower to the grill!" Brian says: "I love the outdoors, [whether] it's camping, hiking, or a game of golf. I love this beer! I find this beer not as bitter as some California IPAs, which i like, especially in the Fall. But the wonderful number of aromas that come off this beer are like Spring all over. IPAs are one my favorite styles, but I find drinking IPAs outside doesn't always work to well for me -- they skunk so quickly in the sun. I love that breweries are putting beers in a can now: it sure makes the outdoor beer life easier. Plus, they fit perfectly in a golf cart!" Dan says: "Back in the mid-'90s, I saw the late, great Warren Zevon in concert. During the encore, he performed his 1978 hit 'Werewolves of London' for what might have been the 10,000th time in his career. And as a couple thousand off-key drunk white people sang along, I recall thinking, 'Man, Zevon must get really f&%ing sick of this werewolf crap.' Mercifully, Warren shuffled off this mortal coil before the whole supernatural-being craze got ridiculously out of hand (I’m talking specifically about the last two harebrained seasons of True Blood). Enough with the werewolves already! Well, except for this exceptional red ale, which could never wear... er, were out its welcome." Dan says: "According to the folks at Full Sail up in Hood River, OR, the LTD on the label carries a dual meaning: Limited (as in 'edition', 'cuz this brew’s only available for 47 days), and Live the Dream (as in the cliche, which lasts forever). This is a Bavarian-style lager, on the darker side, well-hopped and full of flavor and body. It’s wunderbar! One sip, and you’ll feel like you’re in Munich. 100 sips and you’ll feel like you’re drunk in Munich." Dieter says: "I love beers like our seasonal Vanilla Porter. This hearty beer is perfect for cool Autumn nights. The higher alcohol content creates a nice warming effect on your face, and in your soul. As the days get shorter and the nights get longer, I tend to gravitate towards Porters..."
Dieter says: "... [But my] number one choice would be an Oktoberfest-/Märzen-style beer, like a Gordon Biersch FestBier. I cannot imagine Fall without sipping on a sweet, malty Märzen. The color of the beer matches the color of the changing leaves,. The medium body is just right for the cooler weather, and the beer pairs really well with heartier Fall dishes." 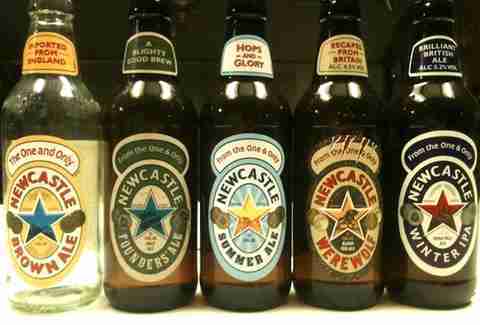 Steve says: "An English-style pub ale with a dry, malty character complimented by biscuity & toasted notes. 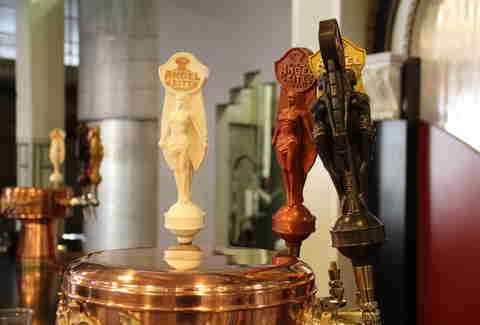 At the Tap, we pour it on nitro so it's extra smooth & creamy." Steve says: "Even though we're in SoCal, the nights can bring a chill compared to the sunny days, so I like to suggest this dark, rich & complex stout. This one is brewed with Sumatra Dark coffee & cocoa nibs."